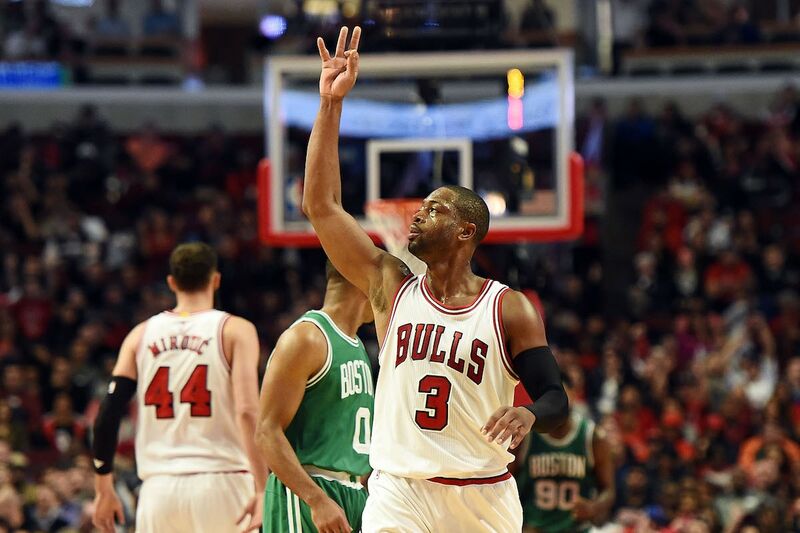 vs Boston Celtics, October 27 - In Wade’s Bulls debut, in front of a national TNT audience, Wade announced his return to his hometown with a bang. 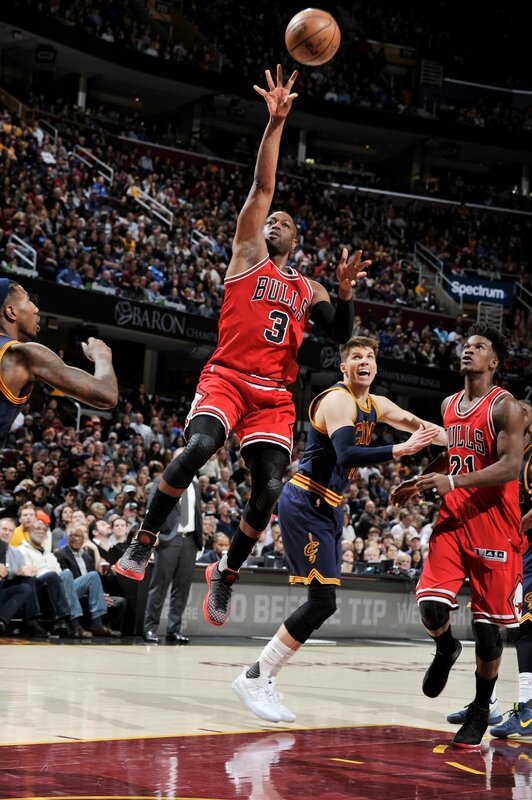 He scored 22 points with 6 rebounds and 5 assists, but perhaps most importantly, with the clock ticking down on a one possession game, Wade drilled a backbreaking three pointer (one of four on the night) to clinch the game for the Bulls and take home a huge season-opening win 105-99 over the eventual Eastern Conference #1 seed. 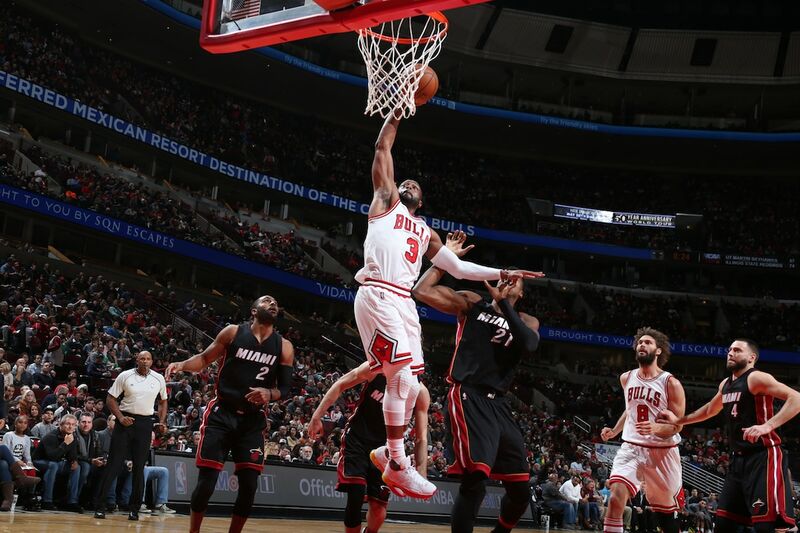 vs Miami Heat, December 10 - In a matchup against his former team for the first time in Chicago, Wade came out swinging, scoring 28 points and dropping some vintage shifty drives and dunks all over his former team. Wade was huge in a matchup where the rest of the Bulls looked sluggish for long periods of the game, and he helped the team pull out a hard-fought 105-100 win over the Heat. The Bulls would end the season with an identical record to the Heat, only qualifying over them due to a tiebreaker. 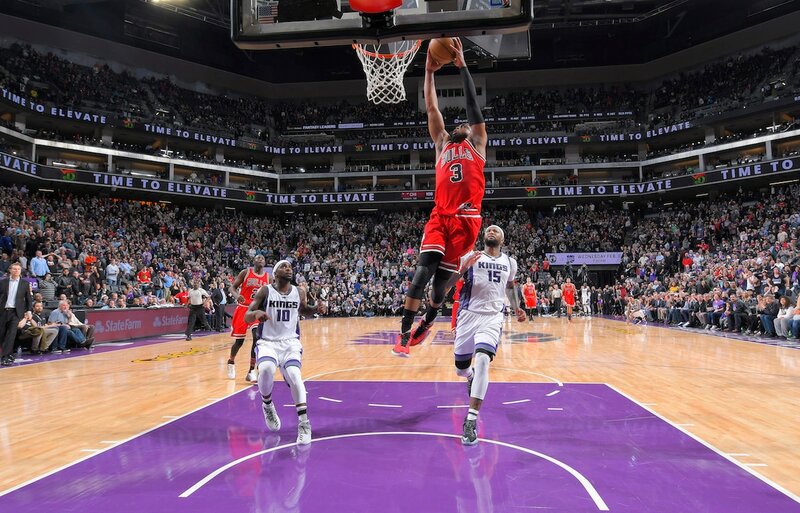 In the three games of the series between the two teams, the home team only one once, and it was this game in December that stood out at the end of the season as a major difference maker in the Bulls extending their season. vs Indiana Pacers, December 26 - On the second night of a Christmas back-to-back, the Bulls could have been forgiven for showing up tired for this one. But the team played hard against a rested Pacers squad, matching them blow-by-blow in a close game in front of a jacked-up United Center crowd. With just under 10 seconds to go and the Bulls clinging to a three-point lead and the Pacers in possession of the ball, Indiana guard Aaron Brooks attempted a cross-court pass to forward CJ Miles. Wade, showing his quick reflexes and understanding of the situation, read the pass and jumped in front of it, swiping it and taking it down the court for the finish, the dunk and the big win. It was a great late Christmas gift for Bulls fans, and showed how veteran savvy can win you a game. at Sacramento Kings, February 6 - Playing in a game on the road without Jimmy Butler, Wade proved he could still put a team on his back and carry them to a win. Wade led the team to a big lead in the second half, and when the Kings came storming back to make it a game, Wade took over, stopped the bleeding and pulled out a win with two buckets in the final seconds (one coming off of a steal of DeMarcus Cousins) to right the ship and escape with a 112-107 victory. It was a vintage Wade performance. at Cleveland Cavs, February 25 - The Bulls swept the Cavs in 2016-17 due in large part to many different players stepping up in various games, but this game – in which LeBron James and Kevin Love both did not play – was notable as Dwyane Wade and Jimmy Butler narrowly missed being just the eighth set of teammates to record triple-doubles in the same game, and the first since 2007. 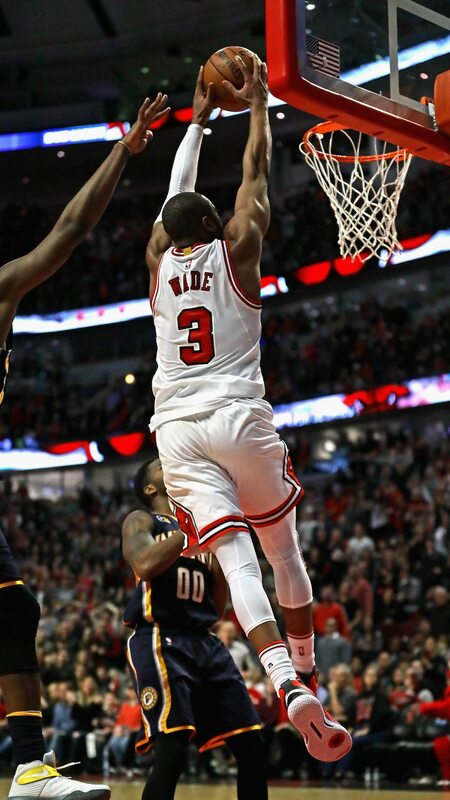 Wade missed his triple double by one rebounds, as Bulls big man Cristiano Felicio took a rebound from him as the buzzer sounded, much to the teasing chagrin of Wade.